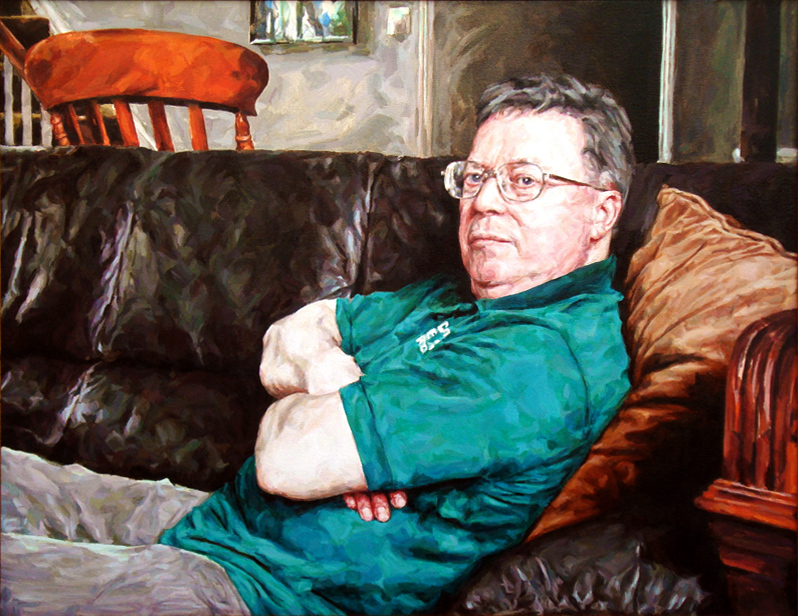 A landscape 'kit-cat' sized painting I did of my father wearing his favourite 'Current Eye Research' shirt, prior to my emigration to Canada. My father, before his retirement, had been a Don at Oxford University in the Ophthalmology department, where he had taught and undertaken research since the mid-1970's. Current Eye Research (an ophthalmological journal) used to hand out very high quality "freebies" at their eye conferences... the usual things such as mugs and shirts, but also some very, very strange items that included such "treasures" as "decorative" pottery tears embossed with maps of the world.